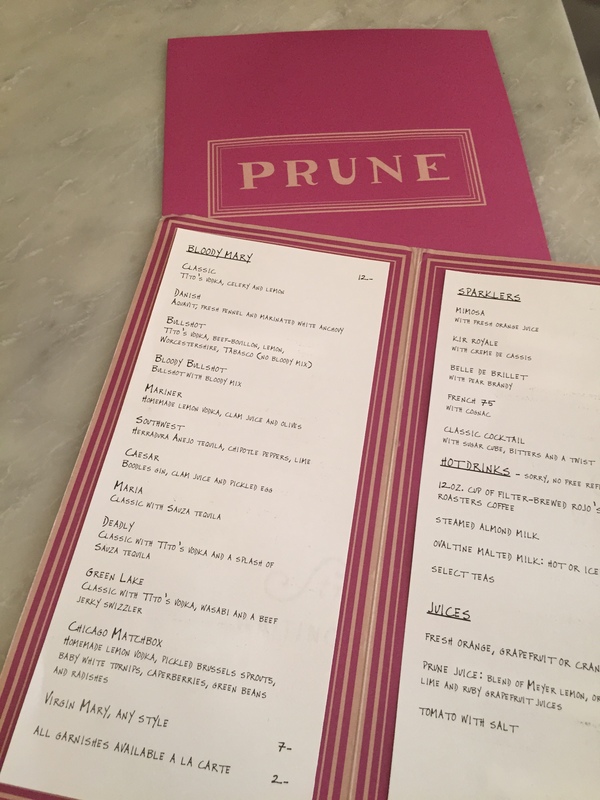 On this trip to NYC, we were so ecstatic to finally be able to test out Prune. 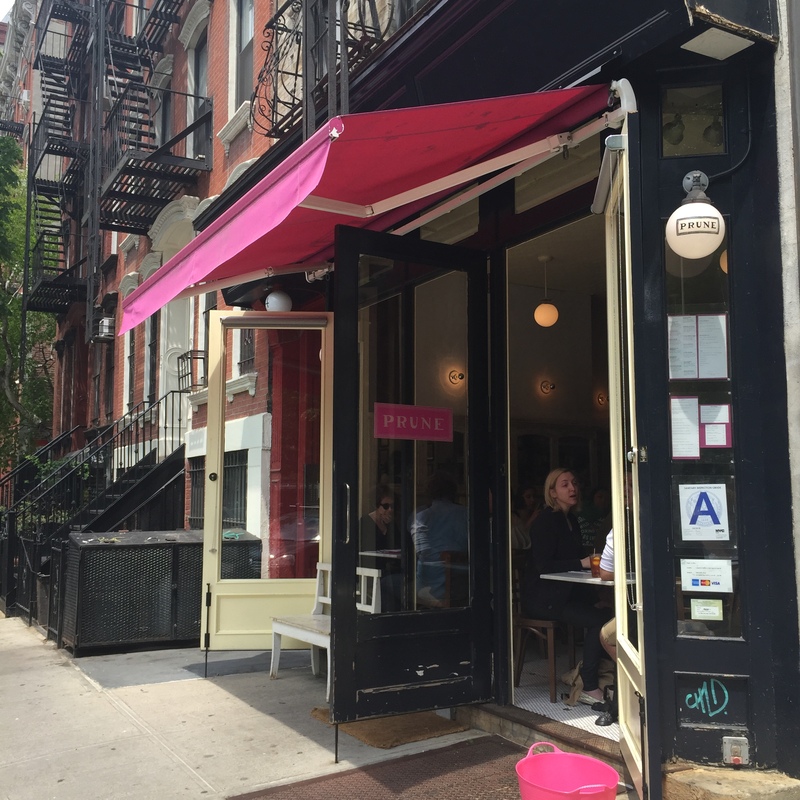 Located in New York’s East Village, Prune is a popular place for dinner, brunch and bloodies. 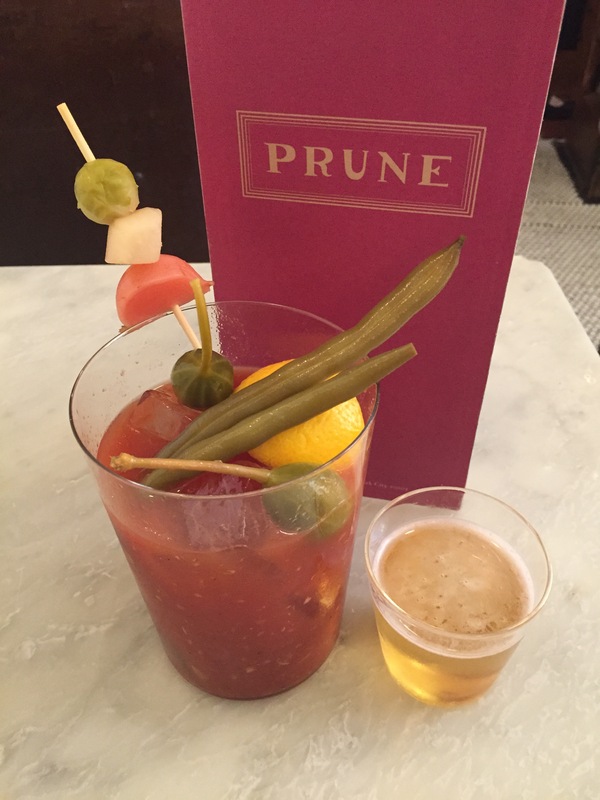 Based on a recommendation from fellow blogger Drunken Tomato and appearing on a number of “Best of” lists, we couldn’t wait to get our lips on one of their many bloody mary offerings—11 to be exact. On this visit, we enjoyed a Chicago Matchbox with our brunch. CHASER: A “beer back” of Red Stripe was provided. “It’s meant to be consumed between sips of the bloody to cleanse the palate,” our waitress instructed. Our response: Sips? What are sips? J Ah, a chaser, just like being back at home. We’re happy to report that, even after a 30-minute wait time to get in, Prune lived up to the expectations. The drink was delicious (we wish we could have tried a few of their other varieties!) and the food was amazing as well. 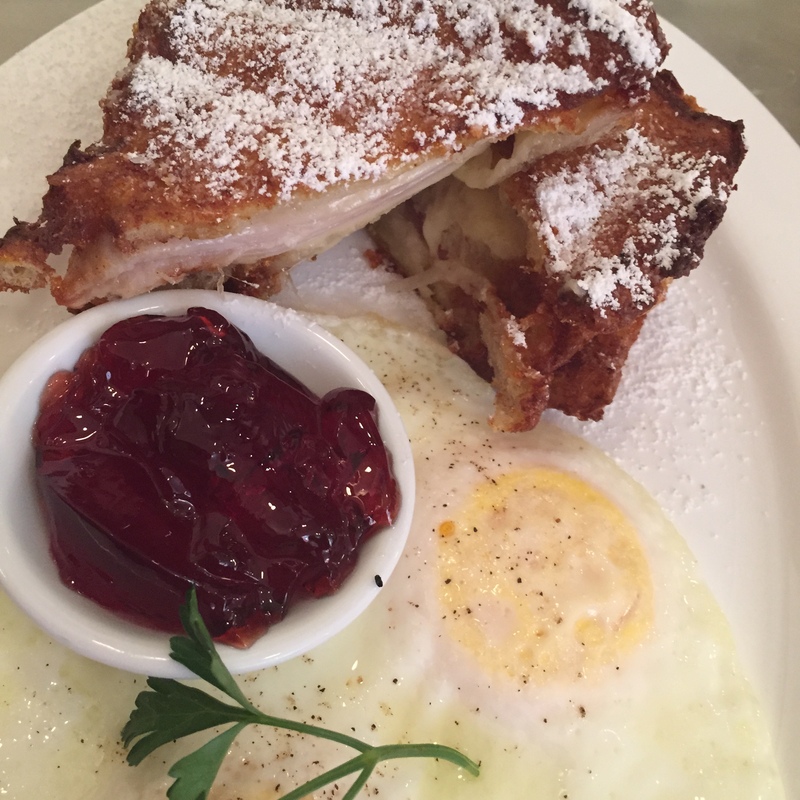 We enjoyed the Monte Cristo during our visit to Prune. Such a cute and charming little restaurant and one you should definitely make time for when you’re in the City.